I'm a Pacific Northwest based makeup artist and hair stylist serving the greater Seattle and Portland area as well as Costa Rica. I approach beauty from a multifaceted technical and academic angle, having formally studied Cosmetology and Esthetics for my interdisciplinary degree in “Identity and Adornment” from Fairhaven College. I have 6 years of experience as an on-site stylist in film, television, fashion and private venues/events. As your bridal stylist, I seek to understand your personal aesthetic and how you use it to communicate your self. 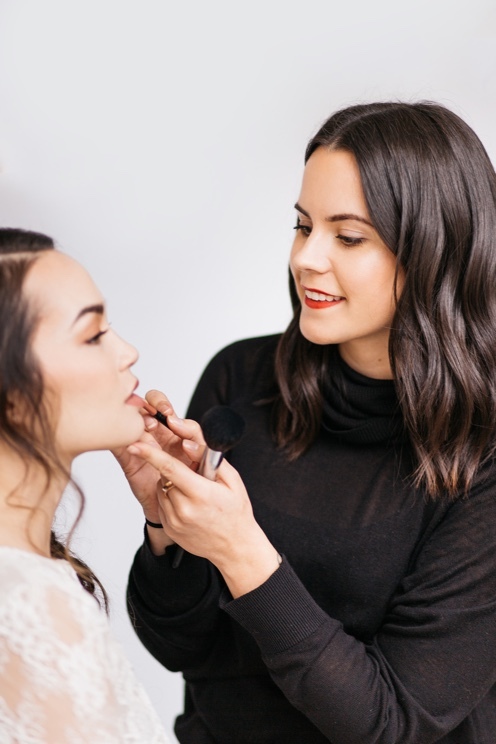 This allows me to approach your wedding day style thoughtfully and intentionally with a flawless application of a look that makes you feel like the best version of yourself. Hair is one of my first and truest loves. As a life-long ballet dancer, I’ve been putting other people’s hair in sleek and secure buns for as long as I can remember. I love styling soft, beautiful curls just as much as I love an elaborate and textural updo. 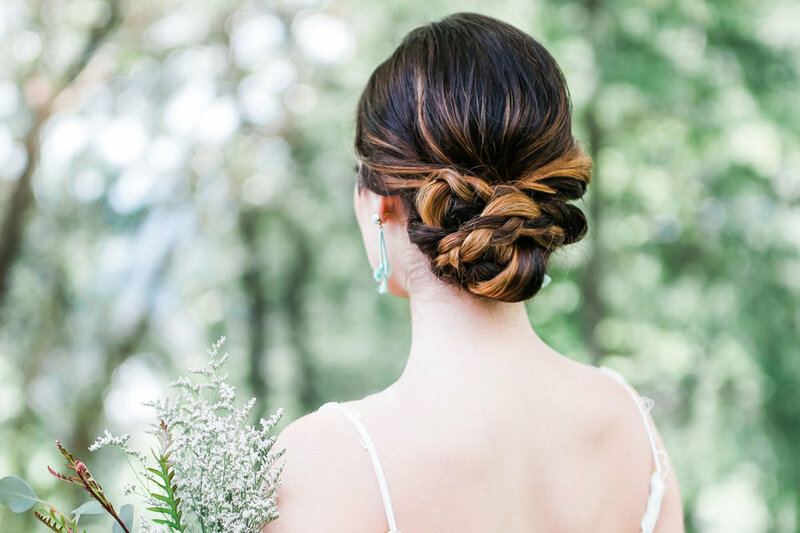 Before I went to beauty school, I worked as a studio sculptor for 4 years and regularly call on my sculpting experience to help me create long-lasting bridal hairstyles that are as beautiful and elegant as they are secure. I offer on location services so you can have the luxury of getting styled in your own home, venue, or hotel suite. In addition to styling hair from the cradle, I’ve been doing makeup for just as long. I started learning stage makeup in elementary school, and carried my interest all the way through a Bachelors degree centered around beauty, cosmetology school, and esthetics school. I love being able to make other people look and feel their best selves. I specialize in camera ready makeup for weddings, special events, and commercial projects that looks natural, fresh, and flawless. I offer on location services so you can have the luxury of getting styled in your own home, venue, or hotel suite. 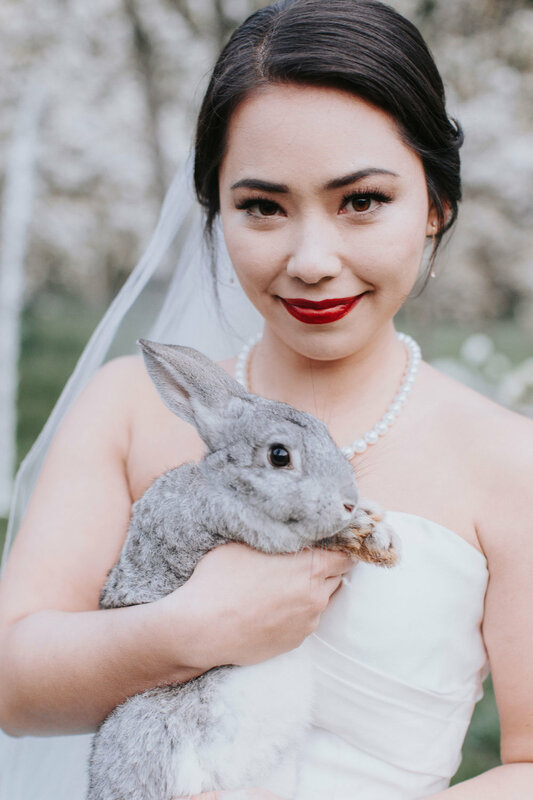 I also offer complimentary airbrush makeup and false lashes for all of my brides and their attendants, and offer free trials when a package is booked. Please contact me for information about additional beauty services to make your big day extra special! I offer add-ons such as discounted rehearsal dinner hair and makeup, reception touch-ups, and morning-of blow outs and mini facials.